Tags: Dark Purple, Ferozi, Frock, Large Flair, Party. 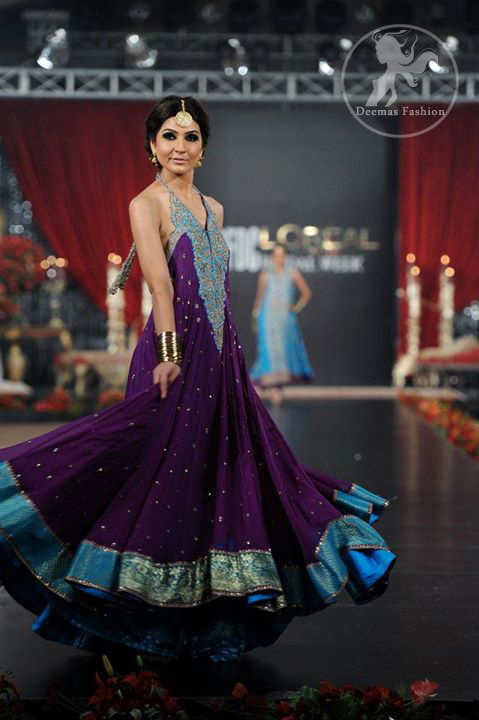 Purple large flair frock has been adorned with long embellished neckline using ferozi fabric as applique. Stone spray scattered all over the frock. Ferozi border implemented on hemline.